Since Accuweather fails at life as a widget on Android 3.0, it brings us great pleasure to inform you that Weatherbug for Honeycomb has been released and is available for free! It has a widget (small one) that actually works, you can set up multiple cities to track, and the UI is a knock-off of Android 3.0 that we 100% approve of. This is how you do a tablet app. 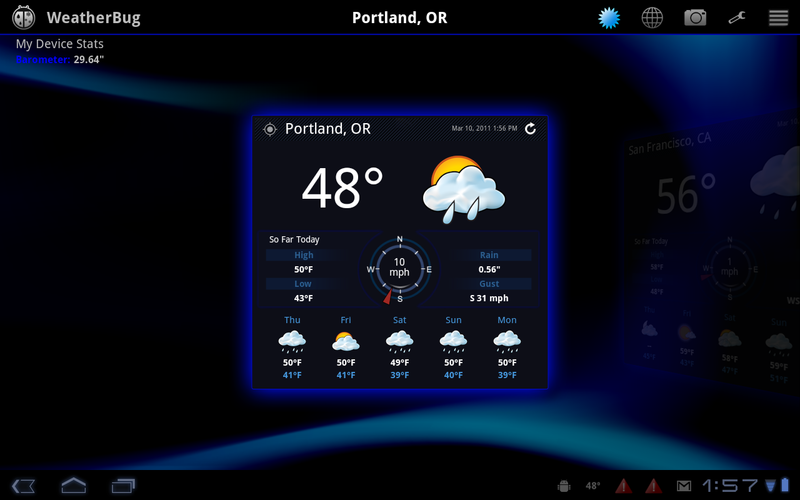 Oh, and you’ll also notice a barometer reading because the XOOM has one, unlike some other tablets.